This story is all about a very special little girl – a 4.5-year-old pit bull named Hope. Her life did not start out full of hope. In fact, the first 2.5 years of her life were violently tragic. 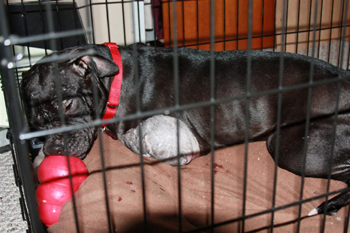 A man in Graham, Wash., who ran an illegal dog-fighting ring, had her. Hope was beaten, abused and forced to fight other dogs, all of whom were thrown into a ring, desperate to survive. She was bred for her puppies without anyone knowing for sure how many litters she bore or what became of her poor puppies. During those first years of her life, Hope was given no love, no care, no comfort. When not being forced to fight, she was chained to a tree and left alone, exposed to the elements in all weather. Hope was mauled and brutalized during dog fights and was not given the medical treatment she needed. She will always bear the physical scars from those fights, including the eventual amputation of her left front leg, which had been broken and never repaired. Then one day, in late October of 2009, she was given a second chance. Suspicious neighbors finally called the police, and a new chapter in Hope’s life began – that of her rescue and rehabilitation. Hope’s owner was arrested, although he never served time for dog fighting. 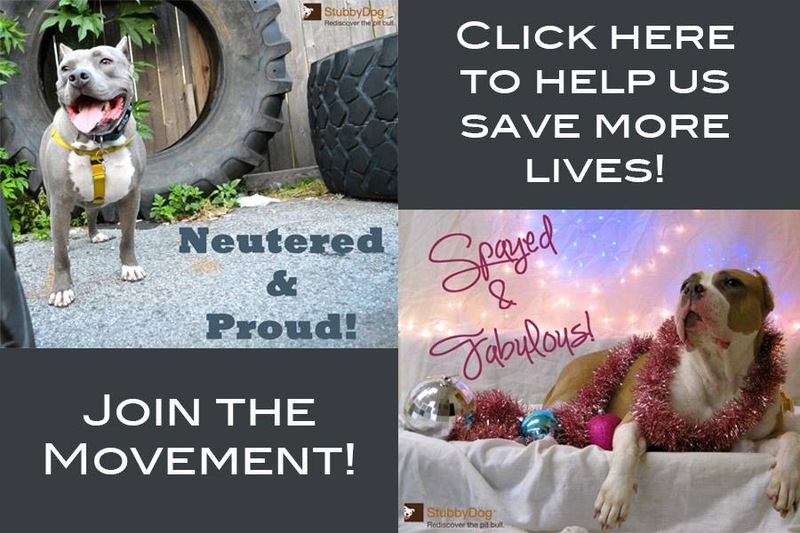 But Hope and approximately 35 other dogs were taken in by The Humane Society for Tacoma and Pierce County, Wash.
BullsEye Dog Rescue then intervened to take care of and foster Hope and a few other pit bulls that were able to be rehabilitated. One of those is Hope’s brother, Victor, who has since been adopted by a wonderful couple and is living a happy life today too. You can read more about their story at Best Friends Animal Society. Hope and Victor were two of six dogs who survived and found a second chance. Bullseye Dog Rescue fostered Hope for over a year and a half. During that time, she received the medical care she needed. She had multiple wounds, skin infections and abscessed teeth. Nine teeth were eventually removed. Her broken front leg was beyond repair and had to be amputated. It was not known how well she would recover from the amputation. But not only did she fully recover, she adjusted beautifully, despite getting fatigued a bit more quickly. 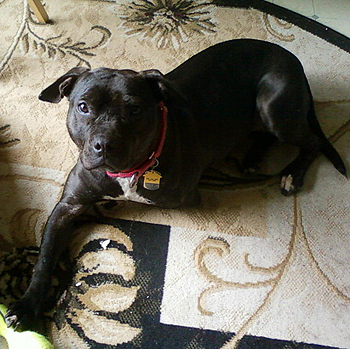 Hope was also introduced gradually to other dogs and people, and she never once showed any signs of aggression. In fact, she was joyful and happy with everyone, and she became buddies with her foster family’s other dogs. Finally, Hope received excellent training from Julie Smith of Play Bow Dog Training in Tacoma. After Bullseye’s devotion, care and determination to give Hope a better life, my husband and I proudly adopted Hope from BullsEye. The adoption was official on April 28, 2011. Despite all the abuse Hope suffered in her early life, her wonderful spirit was never broken. We are privileged to have her in our family. Hope is the most loving, happy, gentle, silly and spirited girl. Against all odds, Hope proudly earned her AKC Canine Good Citizenship certificate this past summer. This is amazing! The fact that a pit bull can be treated with such horrific abuse, forced to fight, suffer such injuries, and can still become part of a loving family, with a gentle temperment, proves how exceptional pit bulls are! 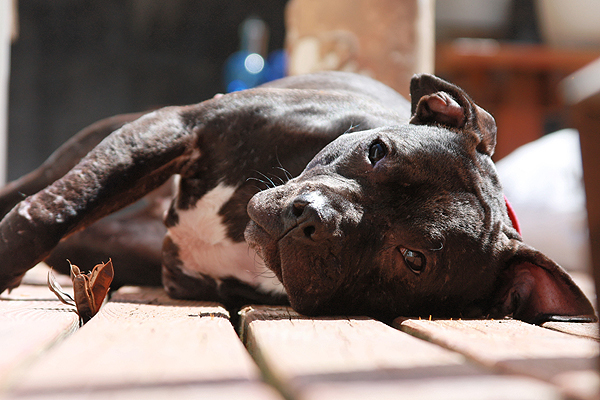 We must all do whatever we can to end the vicious abuse of pit bulls in dog fighting. The entire time I’m reading Hope’s story chills were going through my body, especially reading about the abuse she endured for 21/2 years. I can’t imagine what she and the other dogs went through for some idiots pure enjoyment. As pittie owners we must no sit on the sidelines anymore wishing, hoping someone else will fix the problem. Great story glad Hope has found hope and reason to live a happy healthy life! I always am so sad about the abuse these dogs take. I am always so glad there are angels to help them. I really don’t understand, though, why, if dog fighting is a felony in all states, and evidence is clear, the criminals are not doing jail time. Why are prosecutors so reluctant to throw the book at these guys? Anyone know? It seems I see it over and over, no jail time…no jail time…no jail time. So what’s the penalty for these sociopaths? 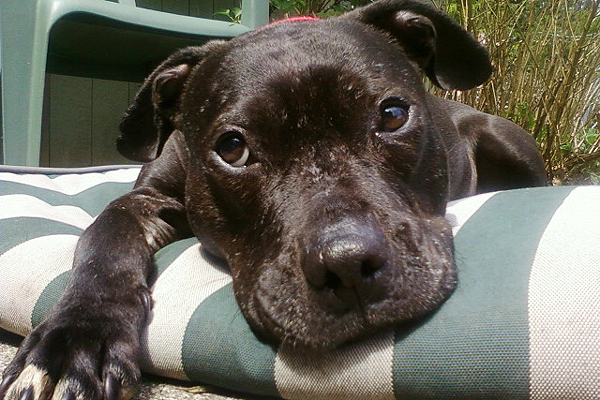 Hope, you are another wonderful example of the resilience and big-heartedness of pit-type dogs. Kisses on your little nose. My pittie Leena is the same age as Hope, and looks exactly like her, but Leena has been in a loving home since day one. Thank God Hope was saved and now has a loving home. what a happy ending for hope – i am so happy for her and her new owner! This story is such a wonderful depiction of how dogs forgive and forget, and overcome challenges against all odds. Hope’s triumph over adversity serves up inspiration to anyone who faces adversity and thinks their situation is hopeless. 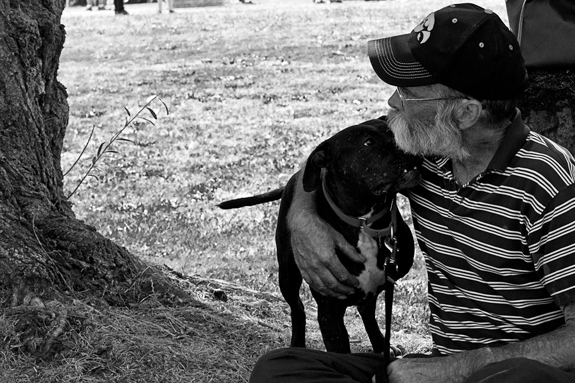 This is a heart-breaking story with – mercifully – a happy ending. The problem is: how many other Hopes are there who are suffering similar abuse at this very moment. Why did Hope’s abuser not go to prison for his atrocities? We must demand that our legislators change laws to require stiff penalties for such people. There is a correlation between cruelty to animals and sociopathic behavior like serial killing and pedophilia. It is time for our legal system to take animal abuse seriously and make sure such inhumanity is stopped once and for all.